I've had a good trawl through the forums but thought it would be advantageous to make a dedicated post as I'm not very knowledgeable about electronics. The pickup selector of the lead circuit on my CIJ (circa 2000) Jaguar has started to become temperamental. The switch for the bridge pickup has become particularly troublesome and sometimes the bridge pickup is extremely quiet but if the slider is in exactly the right position it works as normal. Is this likely to be a problem with the switch itself or the soldering? I assumed it was probably the former, if so, should I try to source a Japanese replacement or would it be straightforward to install the American version? I would suggest checking the soldiering and connections before running out to buy replacement parts, as that could be the issue. though those switches do go from time to time. but double checking current connections will also give you a good idea for how it is wired up, and should you need to swap it out where everything goes and comes from. 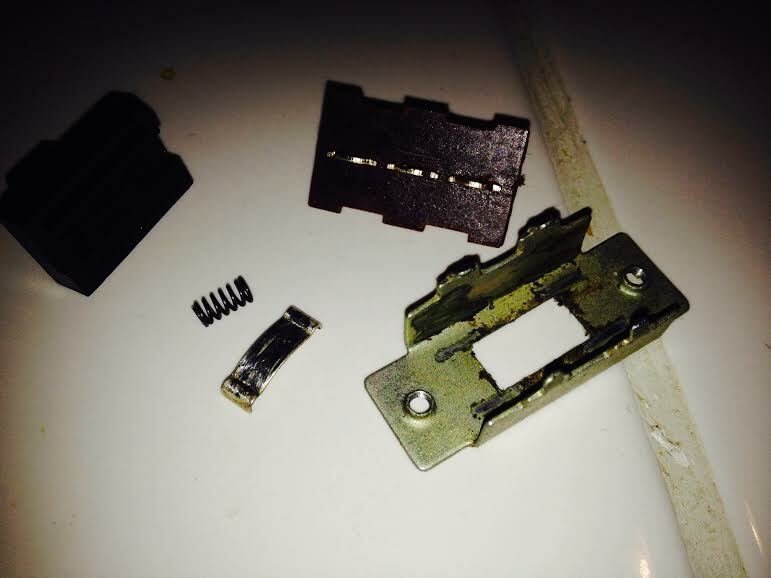 Much as I love CIJ build quality in general, the switches are not all that durable (I've always found it ironic that the weakest part of a Japanese made guitar would be the electronics). 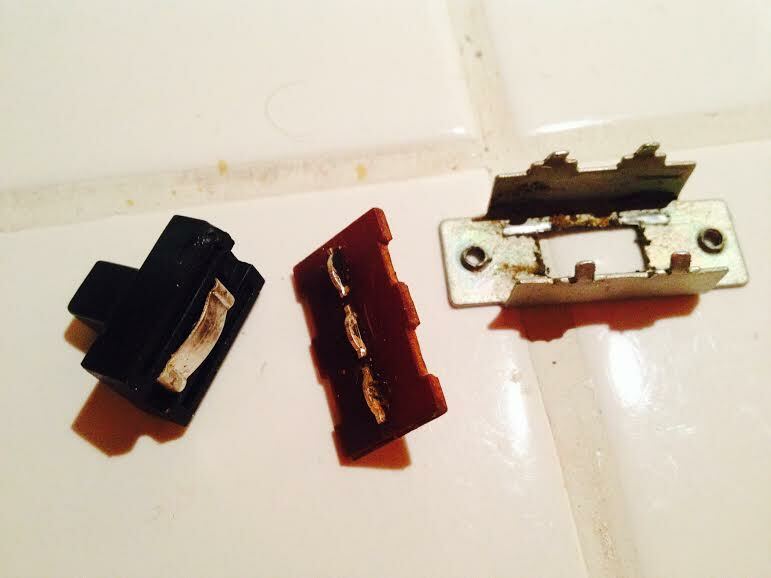 The good news is that they are cheap to replace if necessary. I had to replace the 5 way selector on my CIJ strat and one of the switches on my 65RI Mustang has just gone. If it isn't a loose connection with the wiring, or if none of the wires are crimped then it's probably the switch. Another alternative to getting a replacement would be to get some compressed air, electronic contact cleaner and see if you can get rid of any grime preventing the slider from sapping your bridge volume. Unfortunately, this will probably mean taking apart the slider switch and putting it back together so that you can see if anything is shorting the switch internally. If you're lucky maybe you can get some of the dust out without having to disassemble a few things. Thanks for all your replies and yeah, it's definitely possible that there's just a problem with the soldering. I don't have access to my soldering iron at the moment (it's in another country!) so I may need to take my guitar to a tech. Is it likely that they would have replacement switches that would be suitable? Or would I need to buy one in advance? I've never needed to use a tech before but my circumstances might make it necessary in this case. Which is the best site for CIJ parts, given that I'm in Europe? Open the up and scrape them clean with a single edge razor...... reassemble. Thanks for the advice, I'll try that method. If I do need to buy a replacement which is the best site to use? I didn't notice any on Angela or Guitar Parts Resource. I had the same problem.. I took my Jag to a shop once to get some pickups put in and he fizzled my switch with solder . It's not a CIJ issue . It's a solder issue. Okay, seems as if I need to get hold of my soldering iron as soon as possible!